Bikini Hot Waxing from only £15! Get set for your holidays! Leg Waxing from only £17! Show off in your bikini! Our friendly waxing specialists are highly skilled and offer full body waxing treatment, including a full range of intimate waxing: Basic Bikini Wax, Brazilian wax, and Hollywood Wax. Our rooms/equipment are disinfected after each client. The Waxing Rooms believe that to bare all you must be in clean, comfortable surroundings. Waxing results in no stubble as hair is removed directly from the root so it takes longer time for hair to grow again. Leg Waxing results last anywhere from 3-8 weeks and does not cause cuts, pigmentations or badly smelling skin! Waxing is our specialty, so we can confidently say you wont find many places you can go where youll experience such a level of painless waxing treatment like here at The Waxing Rooms. 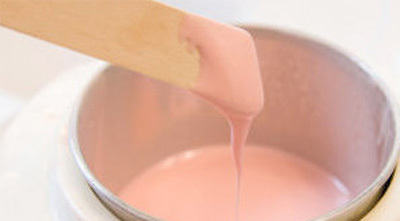 The Waxing Rooms use only the best quality products available with the most up-to-date techniques in waxing. We use non strip (hot wax) for intimate and delicate areas and strip wax when required. This type of waxing is beneficial to people with more sensitive skin as it is less painful and it also reduces the chance of any ingrowing hairs. The Waxing Rooms is Glasgow’s premier waxing destination, specialising in Brazilian/Hollywood waxing. Located in Glasgow city centre at 183 Bath Street we are so passionate about waxing that’s all we do! The Waxing Rooms offer an extensive menu for all of your waxing needs from face to toes and everywhere in between. Our staff are trained to the highest standard to guarantee that every treatment is hygienic, fast, effective and virtually pain free. Ideally you could exfoliate and moisturise the area a couple of days prior to your appointment. On the day of your appointment please shower before arrival. If coming straight from work, we will provide fresh wipes for your convenience. The hair should be no shorter than a grain of rice. If you are having intimate Waxing, the longer the hair, the more uncomfortable it will be, so you can trim the hair before you appointment or well do it for you. Men and women from all professions and all ages get waxed…more than you would ever dream of. Their reasons range from it feeling cleaner to improvements in their love life and think about it, excess hair is ageing and a turn off, who rally likes to wear a fur coat in the summer! Waxing is appropriate for almost everyone, but not recommended for people suffering from diabetes or those who have varicose veins or poor circulation as they are more susceptible to infection. Users of Retin-A, Renova, Differin or Isotretinoin are advised not to wax – the medications tend to weaken the skin and tearing of the skin may occur when the wax is removed. Waxing should not be carried out on areas of skin affected by warts, pimples, moles or rashes or on skin that is irritated,chapped or suffering sunburn. It is the responsibility of the client to discuss any concerns, conditions or medications that may result in contra-indications for waxing when you have your initial consultation. If you are having intimate waxing you will need to get naked from the waist down to get a perfect result, so you need to leave your modesty at the door. However, if you are not comfortable with this we will provide you with a paper g-string although your treatment may take longer. Remember you wouldnt ask a hairdresser to cut your hair with a hat on. If you choose to wear your own knickers we cannot assume responsibility for any oil or wax splashed onto the fabric. At The Waxing Rooms our therapists are waxers and nothing else. There will be no happy endings and no extras. We understand that feeling anxious can cause all kinds of reactions, but this will not affect the treatment itself. We are professional and as long as everything remains professional we will continue with the treatment. Everyone is different. In most cases, you will see minimal regrowth during the first 3 weeks, with a noticeable increase after that. Continued waxing encourages slower, sparser regrowth. If you are serious about maintaining that clean and smooth feeling, we recommend that you come in every 4 weeks for your first few appointments. Roughly by your 4th wax, you find that the whole thing is a breeze. The discomfort will be greatly decreased and the re-growth will be greatly slowed. You may find that you will be able to leave longer gaps between your appointments. Everyones tolerance for pain is different. We believe that waxing is most uncomfortable when it is a new sensation and you do not know what to expect. Any discomfort will subside quickly and will lessen with each visit, as the hair thins and less hair is removed from the area. It can be uncomfortable but the discomfort is short lived and remember hot wax only sticks to hair. We can assure you will not leave the salon in any pain. The Waxing Rooms use only high quality depilatory waxes that are heated to just above the temperature of the skin. Also caffeine,pregnancy and menstruation can cause increased sensitivity. Taking an Ibuprofen 30 mins prior to your visit has been known to reduce some discomfort. Keep the waxed area clean and avoid heat / friction during the next 24hours. No tanning including sunbeds fake tan or sunbathing. No sport, gym workouts or other exercise. No deadorants,body sprays,powders,lotions or other products on the area. Try to use an exfoliating glove after two days, then a couple of times a week following treatment and do try to keep your skin moisturised. Some slight sorness,small bumps and redness are common. These are normal reactions particularly if this is your first wax. These symptoms should subside over 24 -48 hours. If however you experience persistent redness or irritation, or if you have any questions, please do not hesitate to contact the salon. If you have a question about any of the services we offer please don’t hesitate to contact us we aim to respond to all emails within 24 hours. If you are in a rush then why not give us a call on Tel: 0141 204 3100.